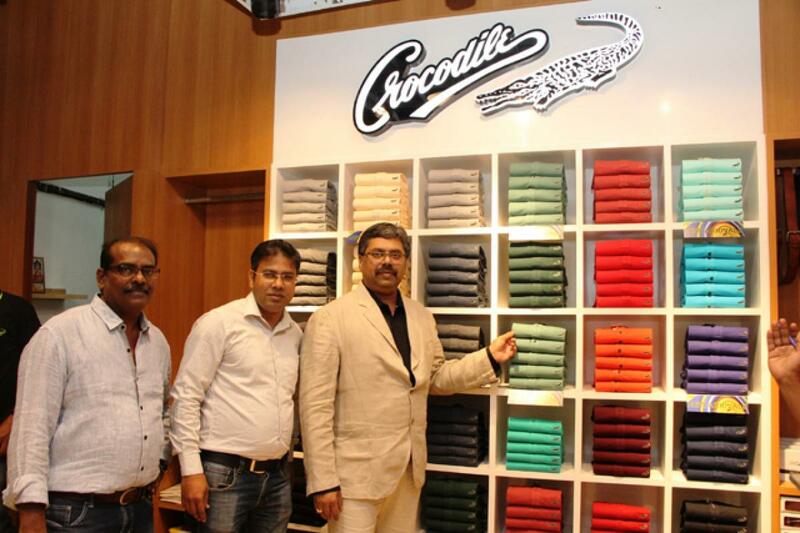 Crocodile opens new store in Hyd. S P Apparels Ltd, which is the licensee of Singapore-based Crocodile International, has opened exclusive flagship store of the brand at Jubilee Hills in the city on Friday. Hyderabad: S P Apparels Ltd, which is the licensee of Singapore-based Crocodile International, has opened exclusive flagship store of the brand at Jubilee Hills in the city on Friday. Shankar Raam, the company’s COO, Retail Division, and Abhishek Karanwal, Retail Head, inaugurated Crocodile outlet, the third one. “In view of growing response to the brand from the youth, we plan to have more exclusive flagship stores in the Hyderabad by the year-end,” said Karanwal after the inauguration. The brand is well-known for catering to the mature adults and youngsters, he added. A wide variety of T-shirts, trousers, briefs and other accessories are display and sale at the store. The garments are priced from Rs 999 to Rs 3,499. The store also sells essentials priced between Rs 150 and Rs 500 in addition to active wear which is available from Rs 600 to Rs 1,000.